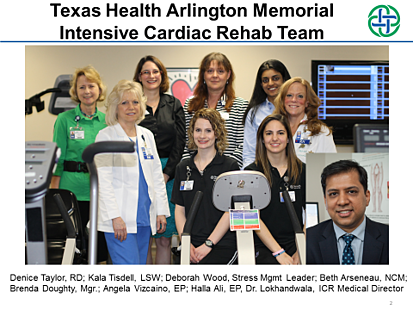 The Cardiac Rehab Program of Texas Health Arlington Memorial is directed by Brenda Doughty, MBA, RN-BC, CVRN-BC and is an AACVPR Certified Cardiac Rehab Program. The program is staffed by two RNs, three exercise physiologists, one fitness specialist, one department assistant, a dietician, social worker, yoga instructor, and two medical directors. They are also supported by 25 former cardiac rehab participants and/or spouses that serve as volunteers. Below are just some of the accomplishments that signifies the level of dedication patients experience in their care and earned them the Beverly Spraggins Award. Initiation of a Cardiac Rehab Volunteer Program 15 years ago with 25 current volunteers. Assisting with education, coordination of Mended Hearts meetings, and several serve as Mended Hearts Ambassadors and visit patients in the hospital. Installation of wall-mounted large screen monitors allowing staff to attend to patients and monitor patients simultaneously anywhere in the department. THAM has been using technology for the last 10 years to enhance patient education through use of iPods and iPads. 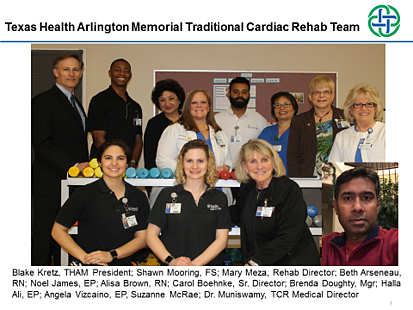 In March of 2015 THAM launched the first Intensive Cardiac Rehabilitation program in the state of Texas and were nationally recognized as having some of the best ICR outcomes. Members of the CR department participate in numerous activities related to heart disease awareness and treatment such as Heart Walk, Go Red for Women, and collaboration with Mended Hearts. They participate in fundraisers/health fairs and serve as guest speakers at the local college and at community leader meetings. In 2009, this department was recognized with a service award for their contribution to the largest CPR training session at the Arlington Cowboys Stadium, setting a Guinness' World record. 104 school buses transported 4,626 Arlington Independent School District 8th grade students for the training. 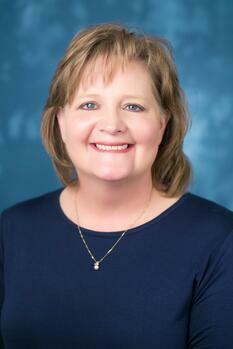 Lori has been a Respiratory Therapist for 31 years and has dedicated nearly 20 years to Pulmonary Rehabilitation. Both the Cardiac and Pulmonary Rehab programs of UMC Lubbock are AACVPR certified. Lori’s passion and dedication to her program and the patients she serves is recognized and praised by her co-workers and UMC Lubbock leadership. 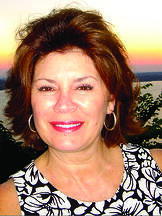 Her nomination by a co-worker noted that Lori has worked tirelessly—and largely unrecognized—for many years in Pulmonary Rehabilitation, yet she is a champion patient advocate, talking to patients' physicians, oxygen companies, and whoever else is needed to get needed equipment or medication changes. "She has never given up on a patient, and continues to have relationships with patients who graduated from our program years ago. She also runs our Lubbock Better Breathers Club, organizing a new speaker every week and using her own time to ensure that participants have an informative, fun and, most of all, comfortable time. She is truly a champion and deserves any and all awards bestowed upon her." 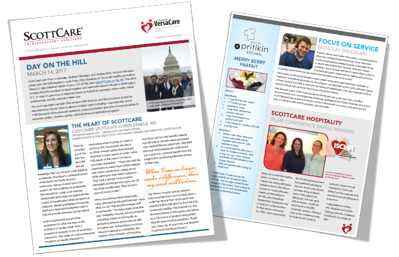 ScottCare congratulates Lori and the THAM rehab teams for exemplifying the dedication and passion for which Beverly was known and loved. On behalf of your patients, we thank you. Nominations for the following year can be submitted any time after the annual TACVPR conference (typically in April) through Dec. 31 (see link below). 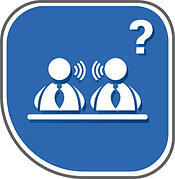 One can nominate oneself, one's program, co-workers, or colleagues and their programs. Awards are announced at their annual TACVPR Conference.